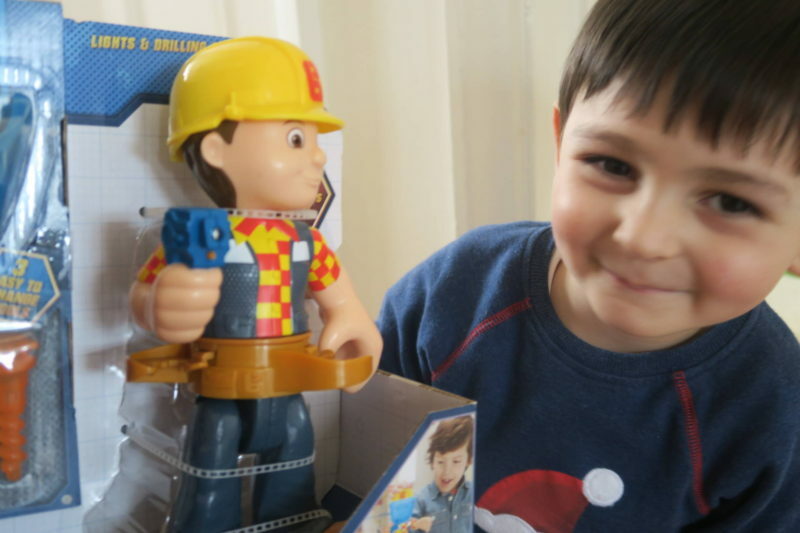 Whenever I hear of Bob the Builder I can’t help but think of the English actor Neil Morrissey (I’m currently watching the gripping BBC Drama series Line of Duty). Neil voiced the character Bob in the popular children’s programme which emphasised conflict resolution, co-operation, socialisation and various learning skills. 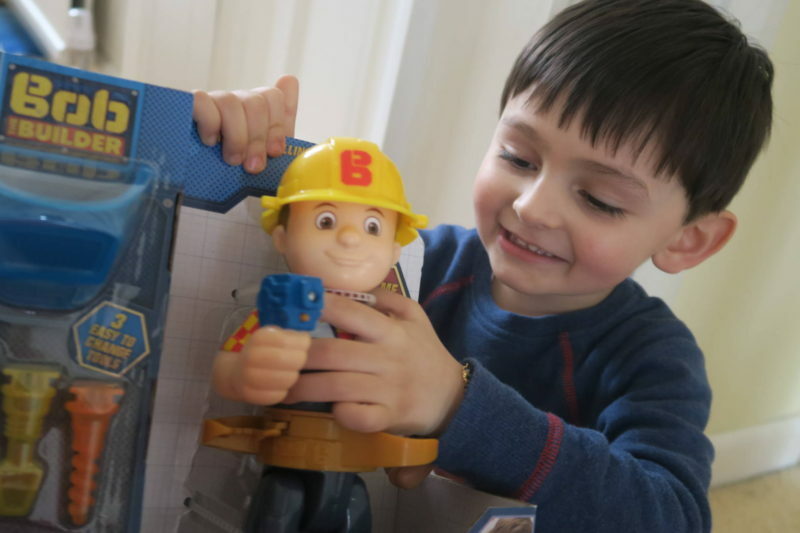 Bob’s catchphrase “Can we fix it?” with the response “Yes we can!” is still very popular as I hear Jay often blurt it out when I usually break something . Since a revamp by Mattel in 2014 the setting and appearance of the characters has changed from what I remember. 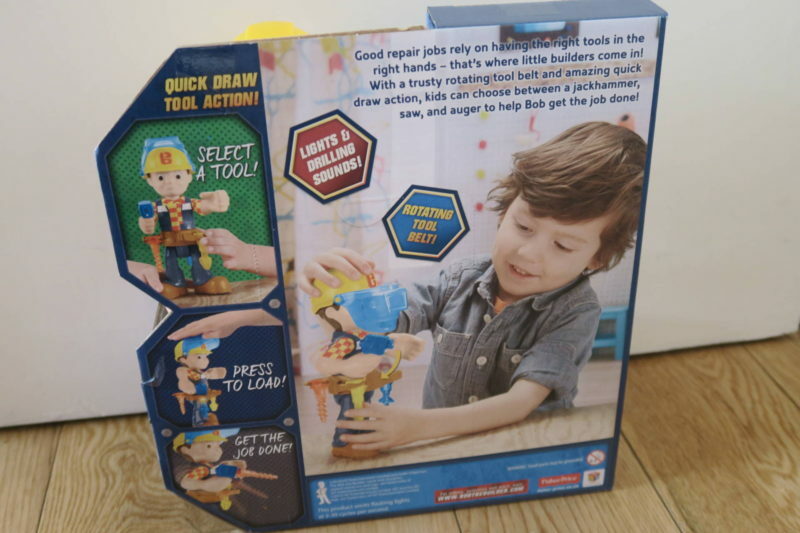 I’m all for encouraging solving problems with a positive attitude and Jay was kindly sent the latest toy from the Fisher-Price Bob the Builder toy range ‘Switch and Fix Bob’ which came with LR44 batteries and suitable for ages 3+. He particularly likes activating lights and phrases by pressing the helmet which comes with an adjustable welding mask. 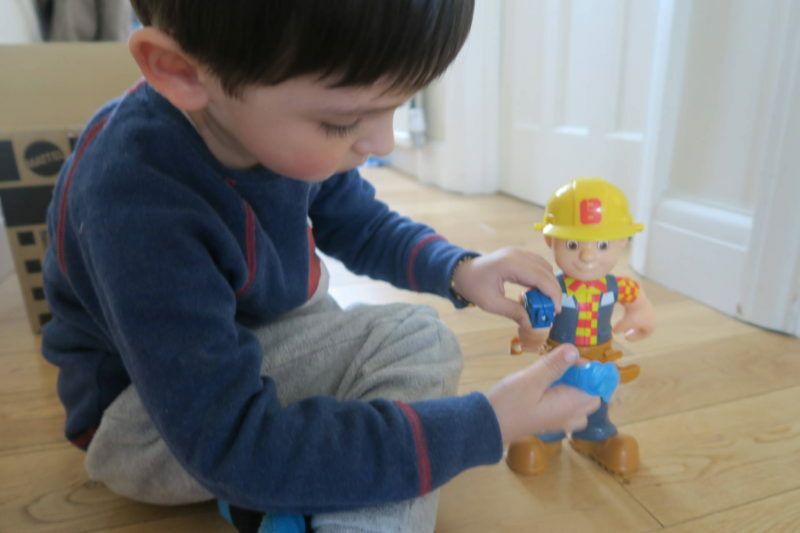 Recently Jay has really been into construction play and moves Bob to various rooms in the house carrying out his imaginative repair tasks, hopefully he will be really good at DIY one day. I’d say the tool bits are probably his favourite that come with the rotating tool belt (Jackhammer, Saw and Auger). 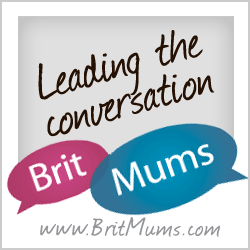 Although he is able to detach the tool bits he has a bit of difficulty putting them back on the belt sometimes. Must admit I do too with my long nails. 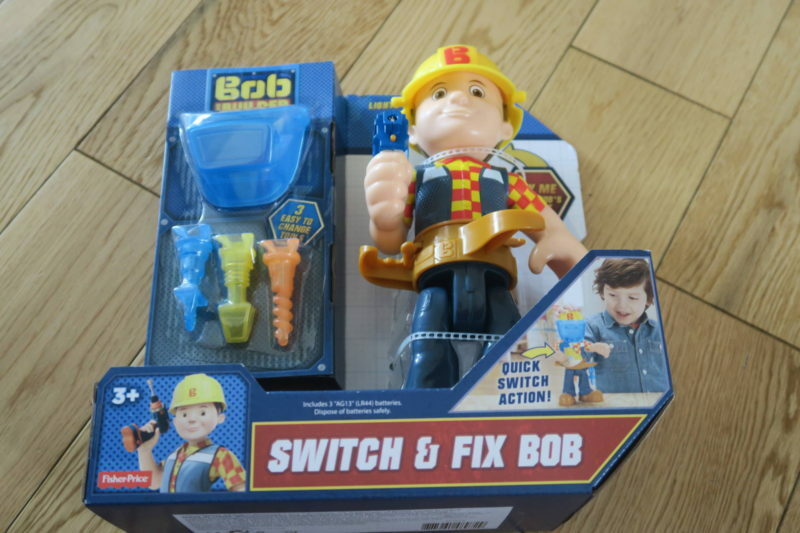 The ‘Switch and Fix Bob’ is available at Argos for £19.99 for the little builders in your home.